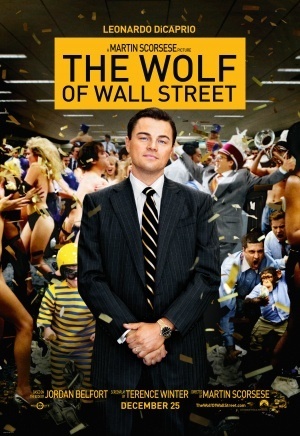 on The Wolf Of Wall Street directed by Martin Scorsese. | on anything and everything. on The Wolf Of Wall Street directed by Martin Scorsese. I’ve been reading a few books, but haven’t finished yet. So I decided to post a review of The Wolf of Wall Street (the movie). I admit that I haven’t watched it before yesterday. It’s unbelievable how much praise it got. Seriously. And here’s why. This is not going to be a long review because the movie already wasted 3 hours (!) of my life. Let me put it this way. If no one praised it so much, I might be nice about this movie. I may just be really ignorant because I do not understand what is the point of this movie and the story of Jordan Belfort. Was it the money? The friendships? The relationships? The drugs? I DO NOT KNOW and it frustrates me. Plus there was zero character development and I feel like that this story could have been told from someone else’s point of view. I know, the book is written by the real Jordan Belfort, but I would be much interested if the movie had a point and plot! I feel like the movie could have been much shorter and tell the same story. If no one said that this was a brilliant movie, I would probably say that the movie is just not for me. But now? Now I don’t get what people liked so much about it?? I admit that the acting was incredible. It was the only thing that managed to get this movie some points with me. While watching the movie, I was constantly telling myself that it has to get better. No way it didn’t. And when it ended, I screamed: “That’s it?!??!?!? !” I just have so much hate towards this movie! The reason for watching this movie was a Leo DiCaprio marathon and finally confirming that he is a great actor. Which he is. He is absolutely incredible. But this 3 hour torture let me watch only 2 movies! I need to give him another try someday, and when someone asks me how I liked The Wolf of Wall Street, I am going to rant. And he said it himslef! If you have some explanation for why you liked the movie or if you hated as much as I did, drop a comment! This entry was posted in All posts, On movies and tagged drugs, friendship, jordanbelfort, leonardodicaprio, martinscorsese, money, moviereview, movies, stockmarket, strattonoakmont, theworst, wallstreet, wealth, wolfofwallstreet. Bookmark the permalink. ← on Unteachable by Leah Raeder.